Fresh reinforcements arrived in the Kabani front to join the pro-government forces’ operation against al-Nusra and its allies and to retake the strategic city of Jisr al-Shughour near the border with the Lattakia province. Sources argue at least 1,000 the Syrian Arab Army’s soldiers, trained by Russian military advisers, have been deployed there. We remember the SAA and allies recently launched an offensive on the town of Kabani in the Kurdish Mountains. It’s a part of the wider operation aimed on Jisr al-Shughour. The Emir of Jeish al-Islam called at least nine militant groups: Ahrar al-Sham, Faylaq al-Sham, Ansar al-Sham, Sham al-Islam, Jeish al-Nasr, Jeish al-Eza’ah, Jeish al-Mujahidin, al-Firqa al-Shamaliyeh and al-Ferqa al-Owla Saheliyeh to deploy forces to Lattakia’s border with Idlib to take part in a joint operation against the loyalists. The coalition of these militant groups launched an operation in Lattakia codenamed Rad al-Madhalem. The goal of the operation is to drive back the Syrian army units from the border with Turkey and repel the offensive on Jisr al-Shughour. On Monday the militant coalition launched a counter-attack on the Syrian forces’ positions, however, it weren’t able to succeed. 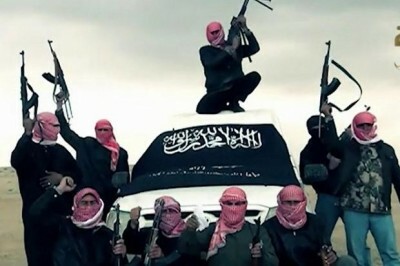 Al-Qaeda-linked militants advanced in the Al-Ghaab Plains and captured the village of Khirbat Al-Naqous near the Hama-Idlib border. Then, the militants attepmted to storm the town of Haqoura, but hasn’t seized it. The SAA is deploying reinforcements to the area. Amid the escalation on the border of Latakia province and in Aleppo City, the Syrian government reportedly delayed the long-awaited offensive through the Palmyra-Deir Ezzor highway and redeployed some part of the military grouping located there to other fronts.